The STAFIX® electrostatic posters have been very appreciated because they are practical and multi-functional. 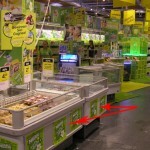 Every year Nestlé Switzerland has a multibrand national campaign in Switzerland lasting for two weeks. 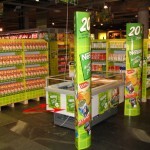 For these two weeks Nestlé heavily promotes its brand throughout supermarkets with various campaigns. 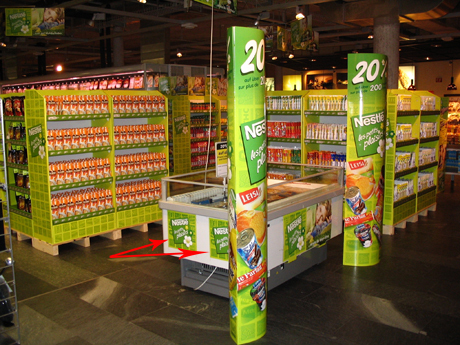 In 2010 Nestlé used STAFIX®STATIC- stickers for their promotions. 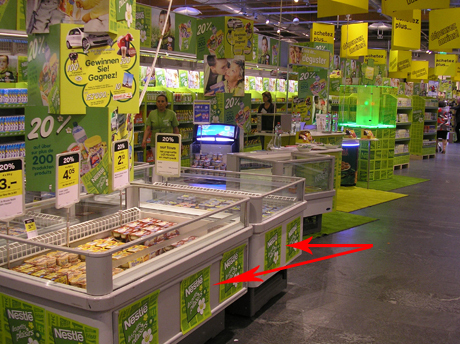 The stickers were used together with various other materials such as displays and hangers; the STAFIX®STATIC -stickers gave Nestlé the opportunity to brand also freezers and fridges, which couldn’t be used for promotion in earlier years cause the markets didn’t allow materials that leave residues behind. 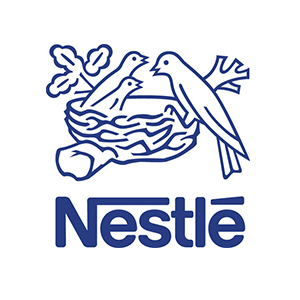 Therefore STAFIX®STATIC was the perfect addition for Nestlé.